Researchers in the US, including one of Indian-origin, are working on a technology that could make homes of the future adjust to your activity without the need for invasive cameras. So when you leave a room, you would not require anyone to tell the that the lights, or the fans needed to be switched off. Sensors hidden in the walls or floors could automatically detect that the room was empty and do the needful. 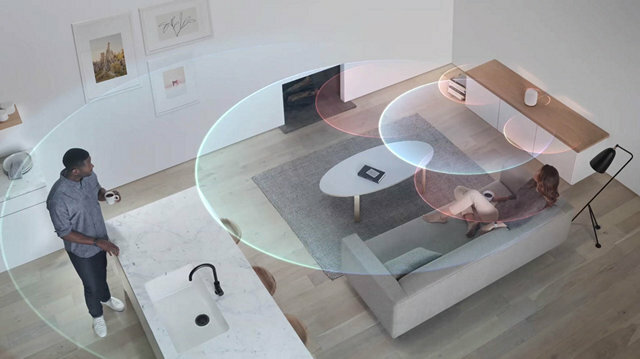 This system would read not only the vibrations, sounds — and even the specific gait, or other movements — associated with people and animals in a building, but also any subtle changes in the existing ambient electrical field. “There is actually a constant 60 Hz electrical field all around us, and because people are somewhat conductive, they short out the field just a little,” said Soumyajit Mandal, Assistant Professor of Electrical Engineering and Computer Science at Case Western Reserve University in Ohio, US. “So, by measuring the disturbance in that field, we are able to determine their presence, or even their breathing, even when there are no vibrations associated with sound,” he explained. “We are trying to make a building that is able to ‘listen’ to the humans inside,” said Ming-Chun Huang, Assistant Professor in Electrical Engineering and Computer Science at the same university. While Huang is leading the research related to human gait and motion tracking, Mandal focuses on vibration sensing and changes in the existing electrical field caused by the presence of humans or even pets. Huang and Mandal published details of their research in October at the IEEE Sensors conference in New Delhi. A longer version of their results will appear in the journal IEEE Transactions on Instrumentation and Measurement early next year, according to a statement from the Case Western Reserve University. The researchers have tested the technology in conference rooms in the electrical engineering department on campus and in the Smart Living Lab at Ohio Living Breckenridge Village, a senior-living community in Willoughby, Ohio. Mandal said they had used as few as four small sensors in the walls and floor of a room. As for privacy concerns, Mandal said the system would not be able to identify individuals, although it could be calibrated to recognise the different gaits of people. While still maybe a decade or so away, the system could provide many benefits. “The first advantage will be energy efficiency for buildings, especially in lighting and heating, as the systems adjust to how humans are moving from one room to another, allocating energy more efficiently,” Huang said. Another benefit could be the ability to track and measure a building’s structural integrity and safety, based on human occupancy — which would be critical in an earthquake or hurricanes, for example, Huang said.